﻿ Escape Hua Hin Hotel, Hua Hin / Cha-am | FROM $58 - SAVE ON AGODA! 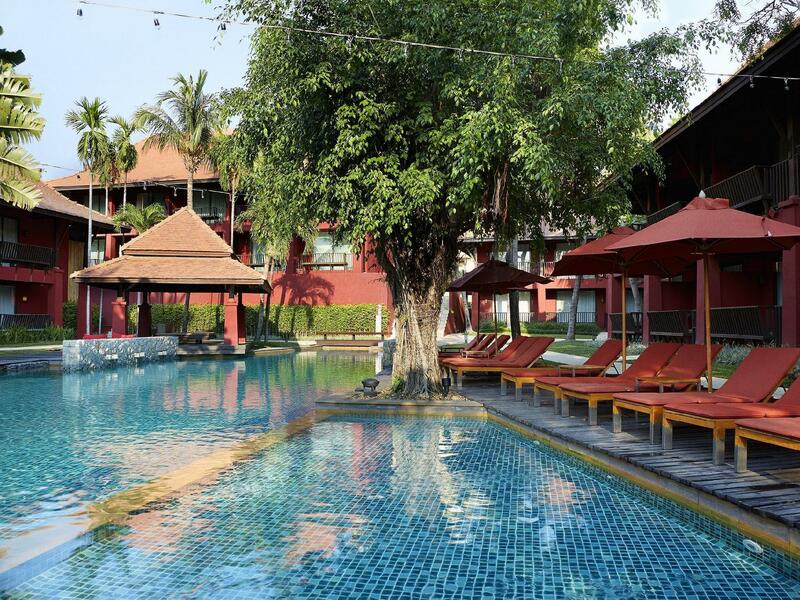 "It's simplicity was nice and also I loved that around the po..."
Have a question for Escape Hua Hin Hotel? "Friendly staff and great location are the highlights." "Great breakfast, location and room good." "I really enjoyed my stay." "Staffs are very friendly & helpful"
Set in a traditional fishing village, Escape Hua Hin Hotel offers plenty of atmosphere and glimpses of the local lifestyle in Hua Hin. The architecture of the hotel mirrors the rustic look of the village, and guests who appreciate simple, minimalist touches will get the most out of a stay here. The nearest beach is only 100 meters away and the excitement of Hua Hin, including its night market and popular restaurants, is easily accessible. 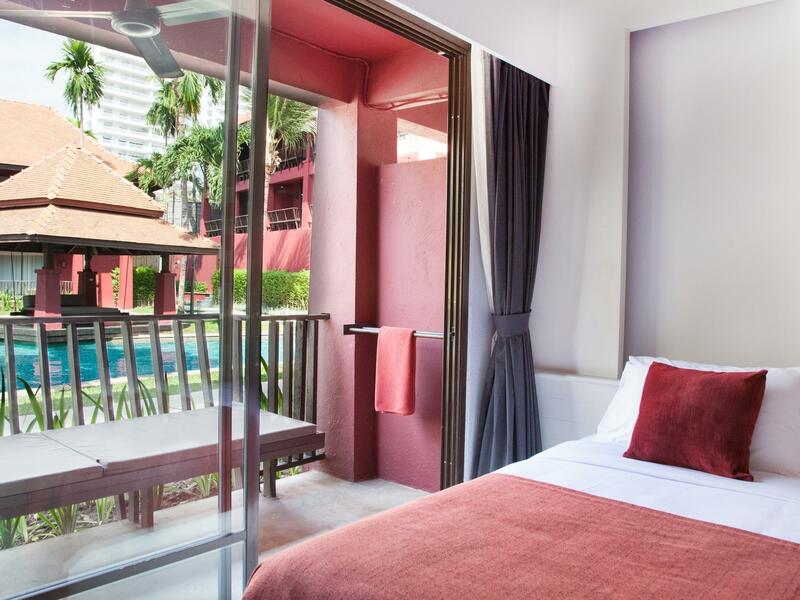 For guests who prefer to stick close to their accommodations, a swimming pool is available and the open air restaurants serve a wide selection of Thai cuisines. When you're ready to book a room at Escape Hua Hin Hotel, please enter your travel dates into the secure online booking form and click. "Good location, close to the beach, in front of shopping cent..."
The location of the hotel is great, there is a shopping mall and restaurants just across the road. The staff are very friendly, helpful and polite. The cleanliness of the room is good but the floor is easy to be dirty. The breakfast was tasty and has a lot of choices. We stayed here for 5 nights, the room was comfortable with 2 single beds as a double Rawls not available. The room was large, had everything we needed, bathroom was also very nice. A lovely large pool, the only downside was the restaurant which had a limited menu. Breakfast was good, location very good, about a 5 min walk to the beautiful beach. Would definitely recommend this hotel. Hotel was recommended by a friend, pool is great for kids and adults, very clean, also surroundings. Easy acces to the beach, upon request they will arrange a bed and umbrella, 100m walk to the beach. Room was good, only little problem with the sink, not important. Staff super friendly, breakfast buffet was good. Far enough from downtown to keep it peaceful, close enough to downtown for a night out. Across the street a new mall, very handy, including supermarket. This is a great place for family. One remark, the adjacent Spa (not sure it's managed by hotel) is very expensive. Great place, great pool, helpful staff, latest room/bathroom and wonderful breakfast. The location is very convenient. Bluport Mall is just located opposite the resort. There is a back door at resort linking direct to the beach which is about 100m walk away only. Place is very clean and comfortable. Breakfast reasonably good. Very friendly staff. I was here with my mom on her 60th birthday. Out of all the exciting experiences while staying in Huahin for three days, my mom found her biggest satisfaction with this hotel. If your thing is to do nothing in your vacation but still want to occasionally eat out and shop, Escape Hua Hin Hotel is a must go to place! It's right next to the beach, right across the mall, very close to bus station. I will visit here again. Definitely. Located right in the heart of Hua Hin. The room was pretty nice with enough amenities. They have plenty choices for breakfast which were very tasty as well. Staff also have great service mind. The pool was quite small. Still a nice place to spend a vacation in Hua Hin. I was only there for 3 nights which isn’t long. I arrived in the late afternoon having got the train from Bangkok. I asked staff about what sort of activities and tours I could book and they did not know. As the location is far away from the centre it is not so easy to just walk next door to book something so there is a reliance on the hotels ability to help with information about the area. It was the day before the festival Loy Krathong and I asked the staff where was the best place to see the festivities “ahhh not sure” was the answer. As it turned out there was very nice parade just down the street! I think this hotel is great for families because of the water parks in Hua Hin, but if you’re here as a group of friends or travelling solo and wanting to book tours/activities then I’d suggest staying somewhere more central as you’ll be better served that way. By the end of my trip I was finally getting to enjoy Hua Hin but alas it was my time to leave and I may not have got to enjoy it enough to make me want to return. Training staff local activities/tours and I’d have struggled to mark the hotel down on anything. This is very nice hotel, clean, great staff, fantastic location and has a nice older local style. Food is good to very good, but not great. Across the road is Blueport SC and only a short walk to the beach. But depending on the day and the time this short walk may not deliver a sandy beach, but only a hundred meters or so up the beach and you will get a nice beach with golden sands. My only frustration during my stay was the hotel had a problem with their laundry service. It was unmanned so they sent it to Lola Laundry (highly recommended fantastic little place), then asked me to go and pick it up and pay cash, not great service when the hotel stuffed up. Besides this overall a great experience. Enjoy! Great facilities right on the beach, opposite the best shopping centre in Hua Hin. This hotel has only 46 rooms and feels very cosy, with kind and smiling staff. It is located just opposite Blueport shopping mall with plenty of restaurants and a good supermarket. Beach just a few minutes away with reserved beach chairs. This hotel is certainly smaller in size and facilities than the Intercontinental next door, but you feel really welcome. Not too many people at breakfast or fight for pool chairs, unlike in bigger hotels sometimes. If you like a family-style hotel and coziness but don't expect luxury and steril perfection , then this is a good place to stay. Very nice hotel and great value for money (though that may have been a midweek special). Location is a little far from town, but right opposite a new mall (Bluport), so that is a saving grace. Nice pool and reasonable food. Worth looking at - if you can get a good deal. My room was nice and spacious with a balcony overlooking the beautiful pool. The bed and bathroom were excellent. The included breakfast buffet was top notch. There is a new shopping mall across the street with Starbucks and all the big name stores and many restaurant choices. The hotel isn't on the beach, but a short 1-2 minute walk will take you to the beach. The hotel offers a free shuttle to the Hua Hin night market. I took a bus from Bangkok to Hua Hin using Sombat Tours (located a few minutes taxi ride from the Bangkok Mo Chit BTS Skytrain station. The bus dropped me off at the hotel. The Sombat Tours depot in Hua Hin is very near Escape Hotel for the return bus to Bangkok. I would definitely stay at Escape Hotel again. Great location, in between cicada market, town and Hua Hin night market. 100 metres to the beach. The staff where great ( my wife is Thai) so can’t really comment on the staffs english. Rooms where very cozy, beds comfy, great showers and big bath towels. There is tea and coffee making facilities in the room and some English tv. Breakfast was excellent, not a great deal of choice, but it’s only a small hotel. 10 out of 10, will be staying there next time we visit Hua Hin. We had an excelent stay in Escape Hua Hin hotel,very quiet place,nice rooms and swimming pool.The staff was great,we enjoyed lovely capuccino cofees in the morning by the swimming pool.The hotel is situated right across a big shopping mall,also easy access to the center,only 10 Baht by the minibuses.